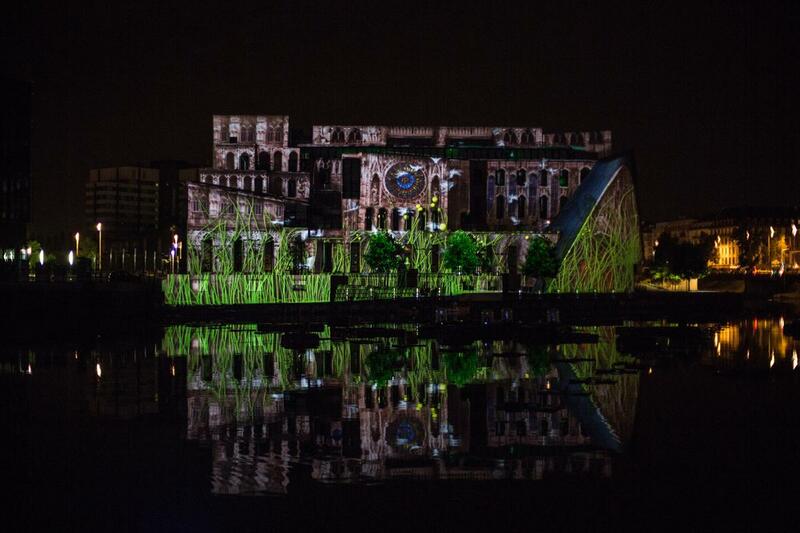 The Strasbourg conservatory, and more exactly its facade overlooking the Bassin d'Austerlitz, in front of the André Malraux Peninsula, had become for two summer months the decor of a big multimedia aquatic show : “Alsace-Strasbourg-Terre de talents”. 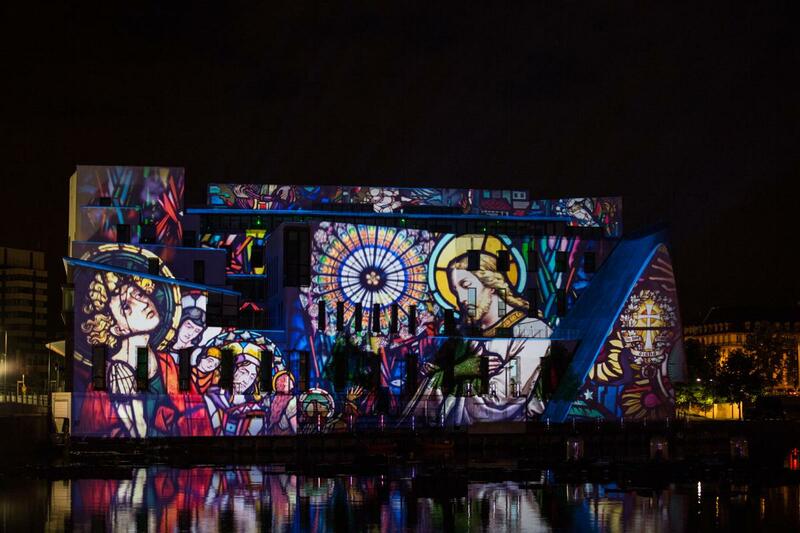 The purpose of the spectacle was to showcase the city of Strasbourg, its art, its architecture (churches, cathedrals), its culture, its presence in sports, but also alsatian myths. 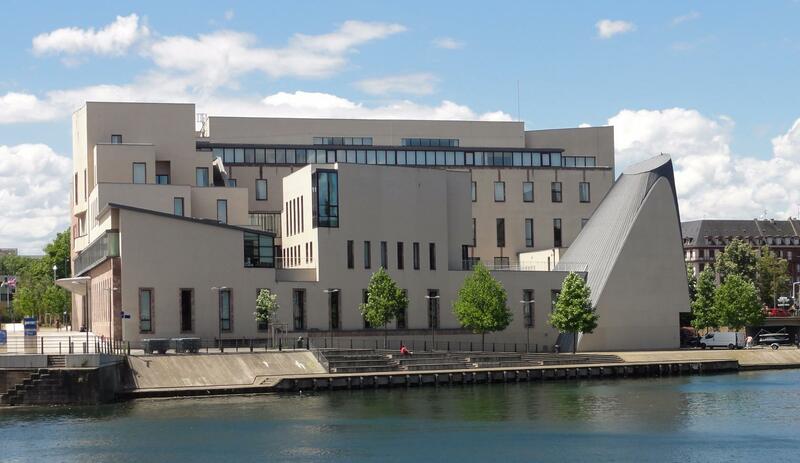 We retraced the portraits of illustrious, famous; talented or Nobel Prize winning people from Strasbourg and Alsace, among which Hansi, Bartholdi but also Roger Siffer and Dinah Faust. 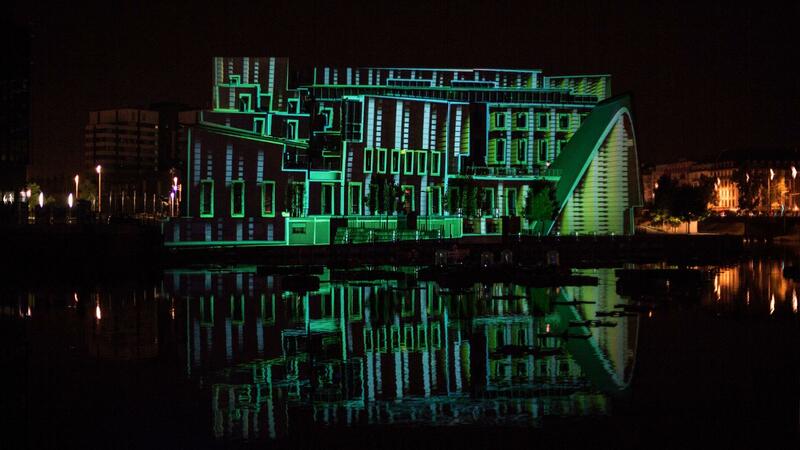 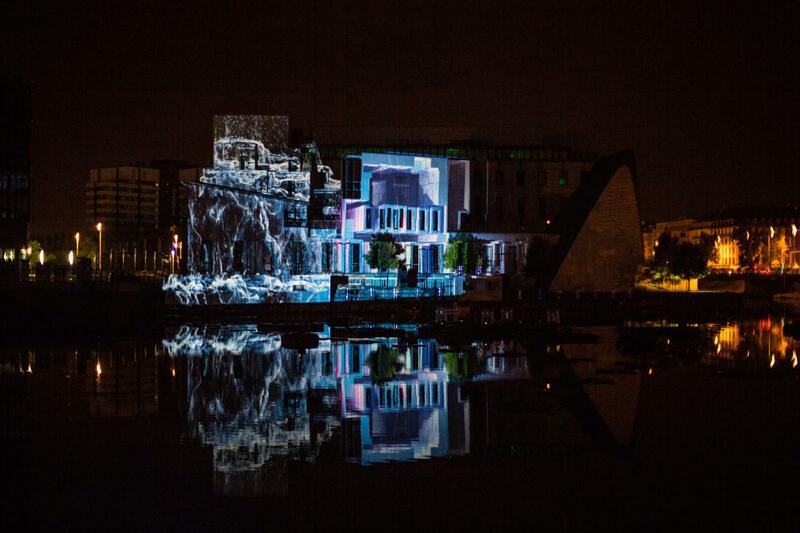 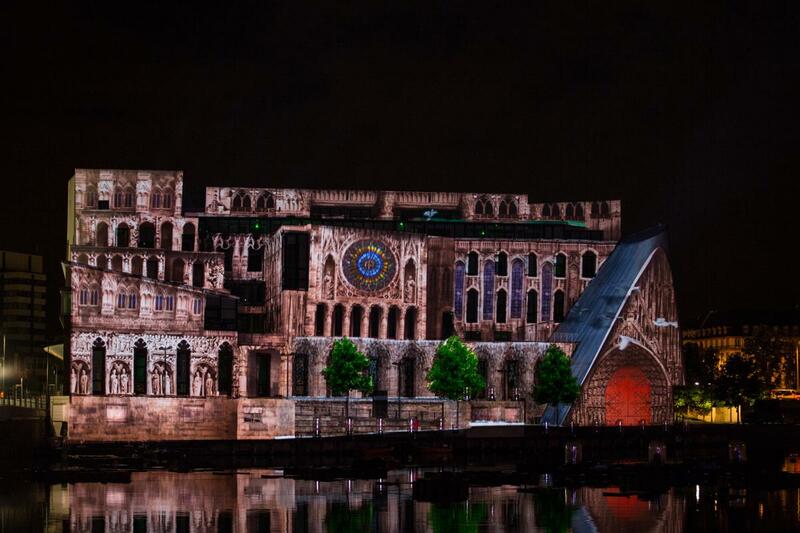 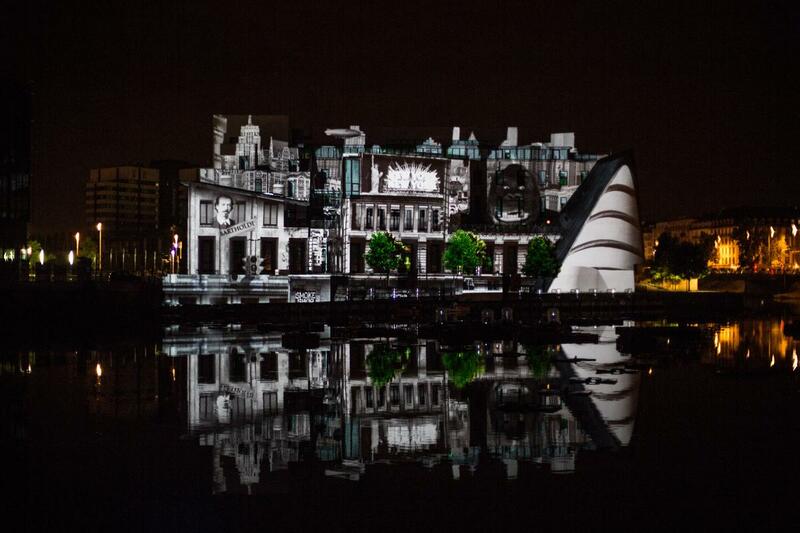 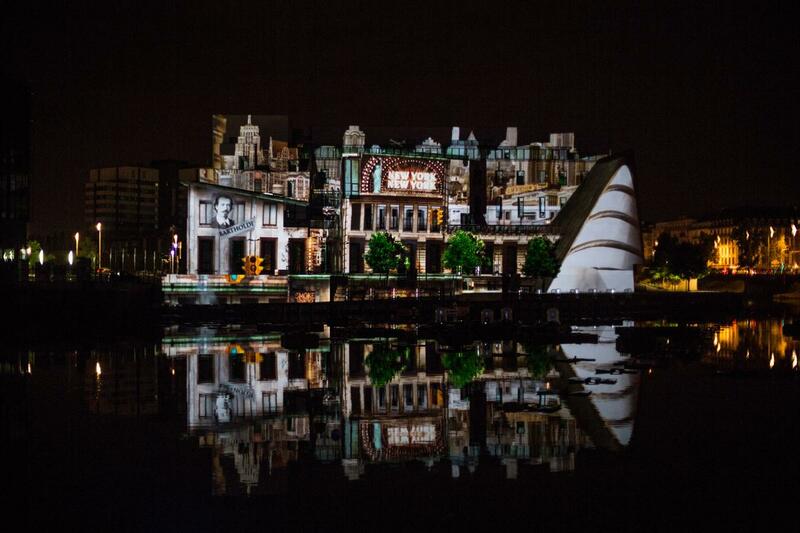 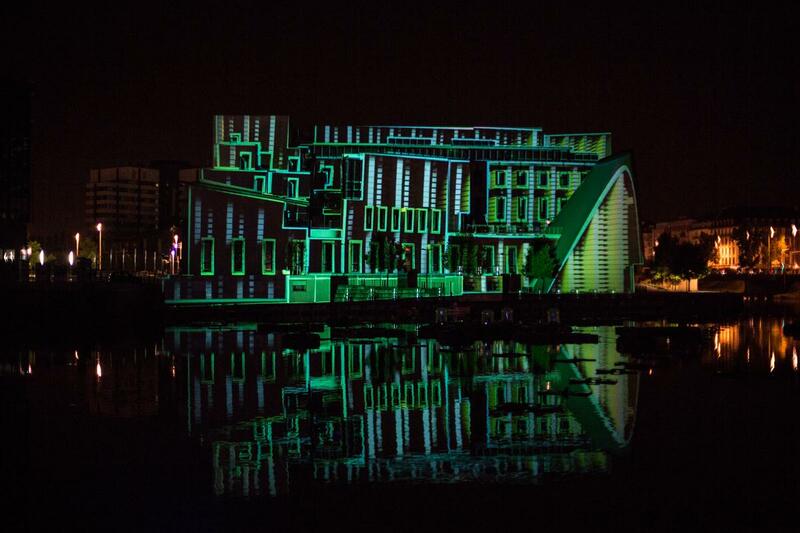 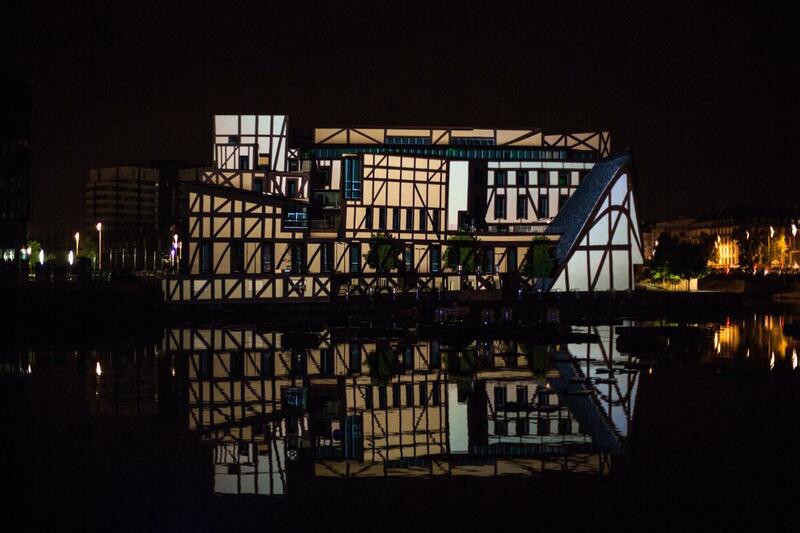 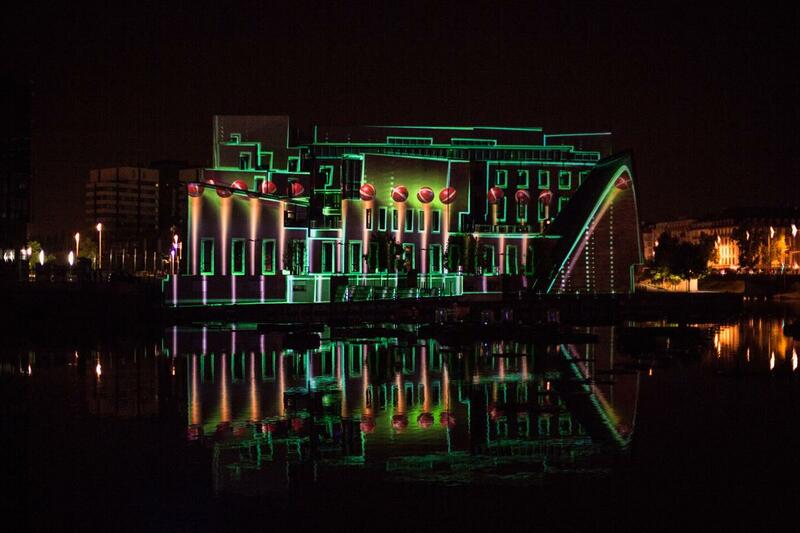 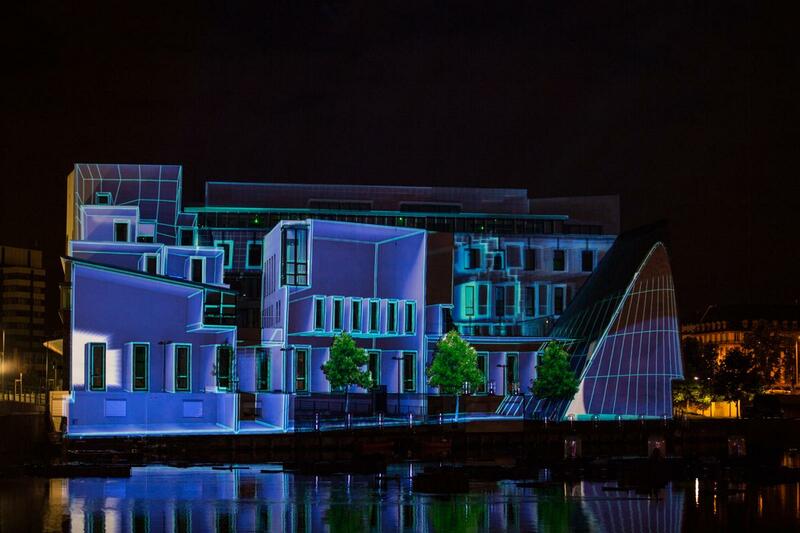 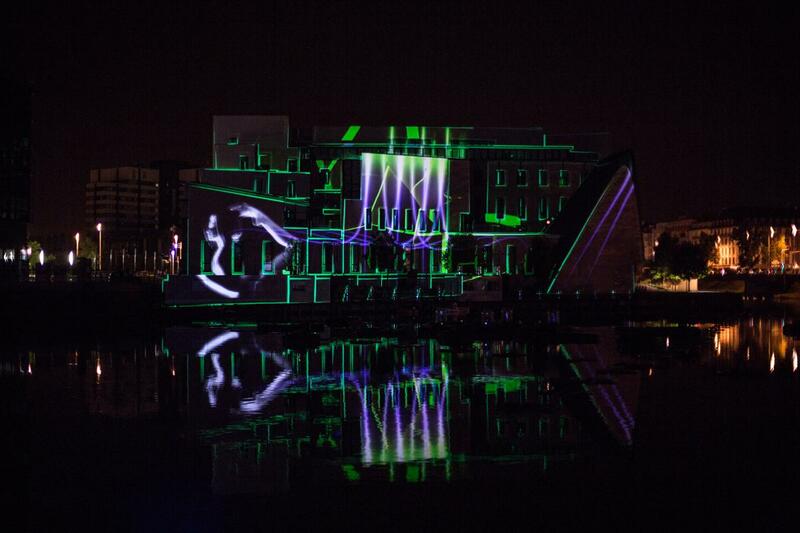 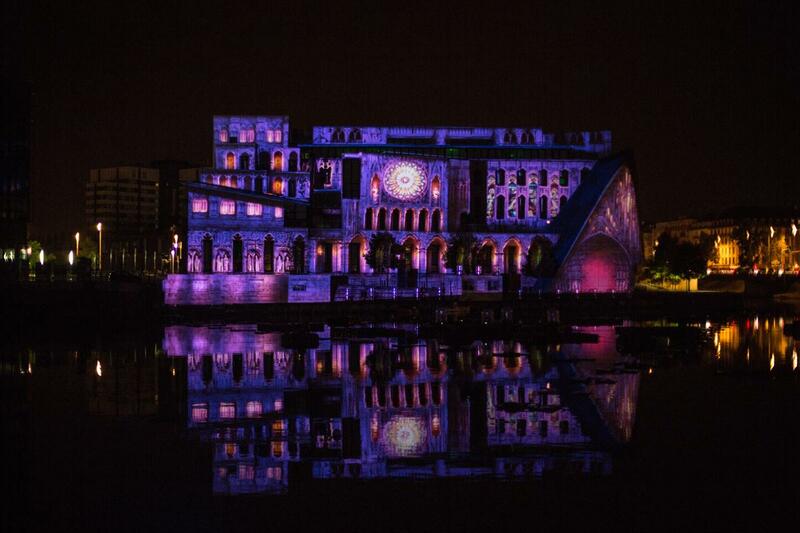 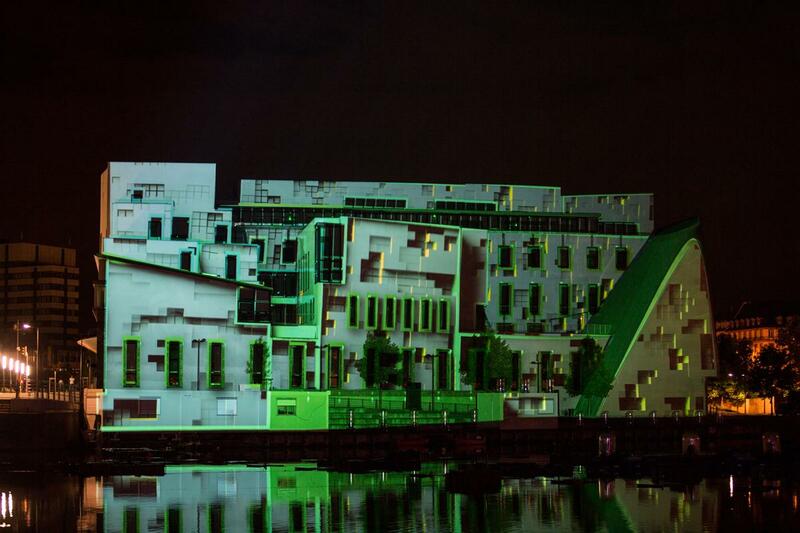 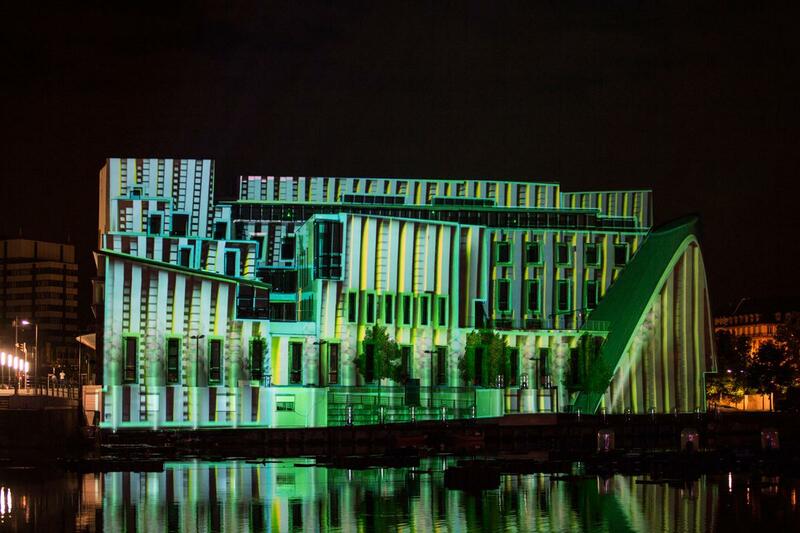 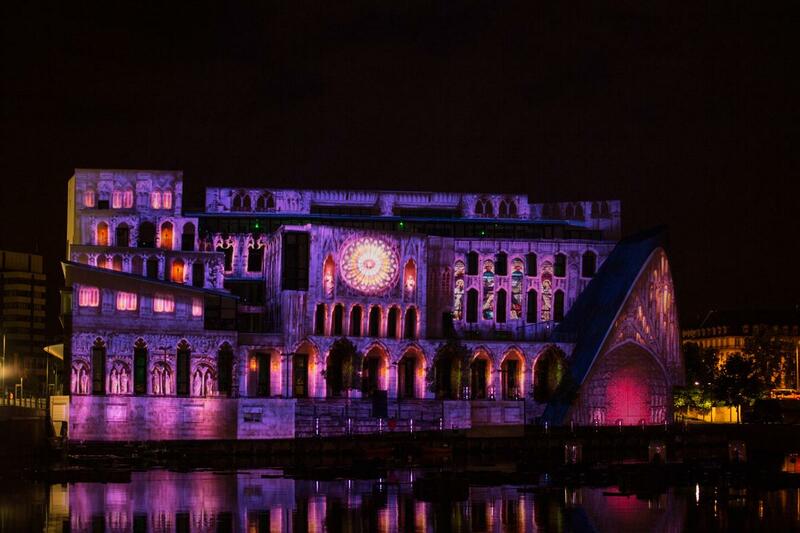 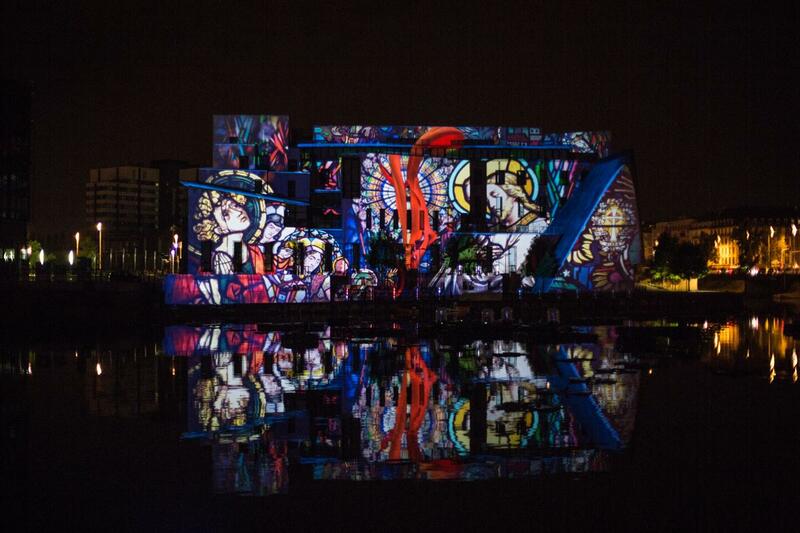 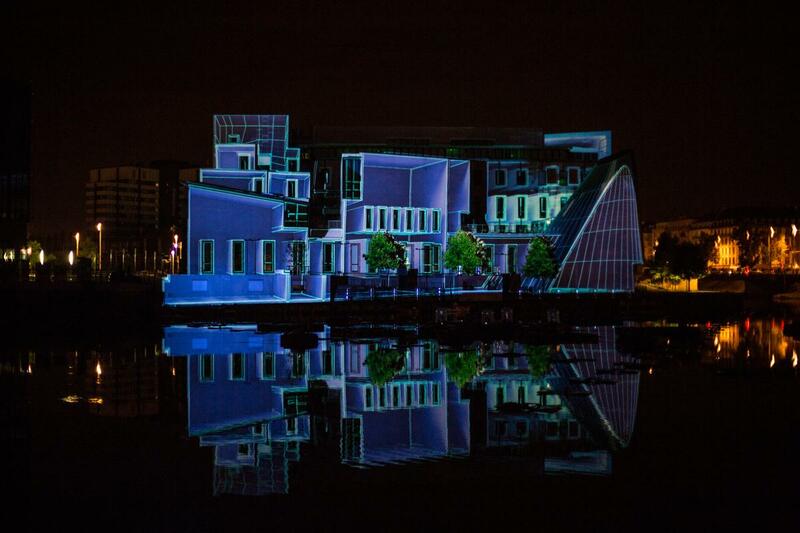 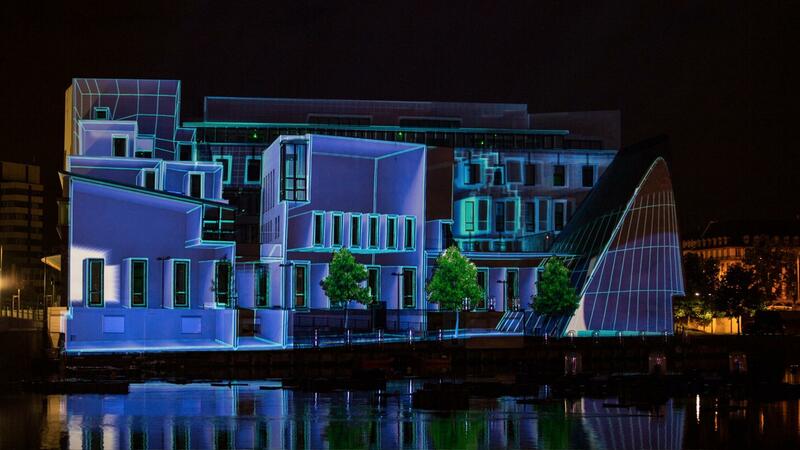 Each evening, starting from July 7 to September 1, we achieved a video mapping performance on this imposing building that was in interaction with video projections and lasers made in the foreground on water screens designed by Aquatic Show. 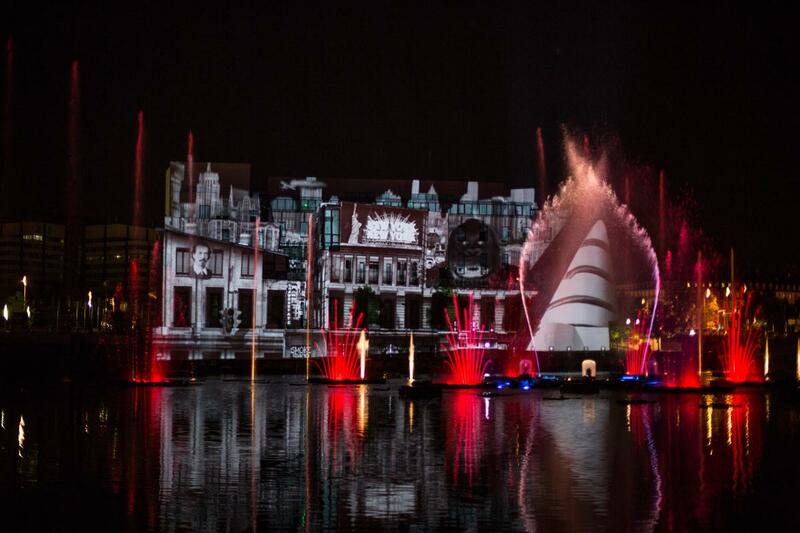 An example of animation that we proposed on the water fountains was to create the illusion of a hologram appearing in the center of the basin. 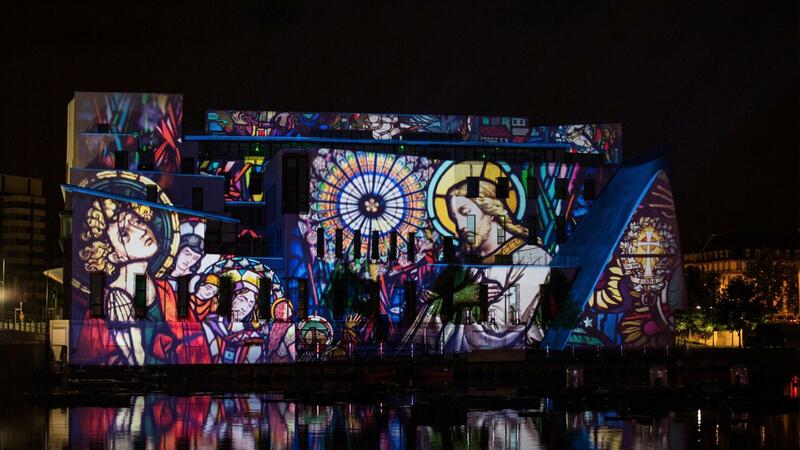 This original light and water spectacle, that totaled up more then fifty performances , was a unique entertainment experience for the public.